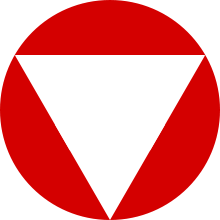 The Austrian Air Force (German: Österreichische Luftstreitkräfte) is a component part of the Austrian armed forces (the Bundesheer). The Austrian Air Force was formed in May 1955 by the victorious Allied powers, subject to restrictions on its use of guided missiles. The Austrian State Treaty of 1955 committed Austria to permanent neutrality. Pilot training started out with a few Yak 11 Moose and Yak 18 Max aircraft donated by the Soviet Union, and Austria purchased further light trainer types under the Military Assistance Program. Until 1960 Austria purchased 62 training and support aircraft under the MAP, but no modern fighter aircraft; the role of a fighter was rather inadequately filled by the already outdated, 30 Saab 29 Tunnan bought second-hand from the Swedish Air Force in the early 1960s. From 1970, Austria purchased a total of 40 Saab 105 lightweight multi-role aircraft with the intention to deploy them in trainer, reconnaissance, interception and ground attack roles. As it became clear in the 1980s that the sub-sonic aircraft were inadequate for air combat and airspace interdiction, Austria purchased 24 reconditioned Saab 35 Draken fighter aircraft to supersede the Saab 105 as the Austrian Air Force's main interceptor in 1988. The Saab 105 remained in service as a trainer/surveillance aircraft. Shortly after, the Draken saw their first major use in airspace interdiction starting 1991 during the Yugoslav Wars, when Yugoslav MiG-21 fighters crossed the Austrian border without permission. In one incident on 28 June a MiG-21 penetrated as far as Graz, causing widespread demands for action. Following repeated border crossings by armed aircraft of the Yugoslav People's Army, changes were suggested to the standing orders for aircraft armament. Since 1955, Austria's armed forces had been forbidden to operate any guided missile system, including Air-to-air missiles and surface-to-air missiles (SAMs). In the post-Cold War environment, and with gun-armed aircraft a relic of a past age, the Austrian Parliament voted to amend this section of its state treaty and in January 1993 modern AIM-9 Sidewinder missiles were ordered from Sweden to arm its fighter aircraft. A higher performance model of the Sidewinder were purchased directly from the United States; deliveries began in 1995. French Mistral SAMs were purchased to add ground-based protection against air attack. The first Mistrals arrived in 1993 and final deliveries were concluded in 1996. The helicopter fleet includes Agusta-Bell (AB) 204s (mainly used for medical evacuation), AB-206s (training and liaison), and AB-212s (used by air-mobile troops and for light transport). French-made Alouette IIIs are available for search-and-rescue tasks, including high mountain operations. The Bell OH-58 Kiowa, a scout helicopter, is mounted with a rapid-firing machine gun, but the air force lacks a true attack helicopter. Most of the helicopters, except the AB-212s, are becoming obsolete (see table 16, Appendix). After the 1999 Galtür Avalanche, it became apparent that the Austrian Air Force's helicopter complement were too few in numbers and too limited in design. Therefore, several US built UH-60 Blackhawk helicopters were purchased, to be used for transportation during disasters. In 2003 Austria's transport capability was improved when it purchased three C-130 Hercules from the Royal Air Force. These aircraft were needed for the demanding UN peacekeeping missions in which Austria played a role. In 2005, the Saab Draken fleet was retired (50 years after the type first saw service), to be replaced by the Eurofighter Typhoon. Before the first delivery of Typhoons, F-5 Tiger II were leased from Switzerland as a stopgap measure. The Eurofighter purchase was subject to controversy in Austria, and became a political football for some time, but the 15th and final aircraft was delivered on 24 September 2009. Austria's air force is divided into two brigade level formations: the Air Surveillance Command (Kommando Luftraumüberwachung) in Salzburg tasked with the defense of the Austrian airspace and the Air Support Command (Kommando Luftunterstützung) in Hörsching Air Base with helicopters and transport planes. Vogler Air Base, north of the town of Hörsching west of Linz, was built as a base for the German Luftwaffe 1938–1940. After the war the USAAF used the base, then named "Camp McCauley – Hörsching" and housing displaced persons, until 1955 when it was returned to the Austrian government. Initially used exclusively by the ground forces, the first military aircraft, Yak-18 "Max-A", arrived in 1957. The base was named for First Lieutenant Walter Vogler in 1967. The German-built base structures were used jointly by the military and civilian aviation until the 70s when construction of the new civilian area in the northern part of the base was finished. FH Vogler is the largest base of the Luftstreitkräfte. It houses "Fliegerwerft 3", responsible for overhauls and maintenance of the C-130K Hercules and AB-212. Units currently based here are the Saab 105Oe of 3rd Jet Squadron, Flight Regiment 3; the C-130K Hercules of 4th Air Transport Squadron, Flight Regiment 3; and the AB-212 of 1st and 2nd Helicopter Squadron, Flight Regiment 3. Fliegerhorst Brumowski, south of the town of Langenlebarn northwest of Vienna, was built as a base for the Luftwaffe 1938–1940. After the war the base was briefly occupied by Soviet troops before it was taken over by the USAAF, becoming "Air Force Station Tulln – Vienna". In 1946 Pan Am added the base as destination, and for a short time there were regular flights New York City/Langenlebarn. The first Austrian aircraft to arrive were Yak-11 "Moose" and Yak-18 "Max-A" trainers donated by the Soviet Union and Agusta Bell AB47G2 helicopters in late 1955. The base was named for Captain Godwin Brumowski in 1967. The base is the headquarters of the Luftstreitkräfte; it also houses the "Bundesfachschule für Flugtechnik" (Federal School for Aeronatical Engineering) and "Fliegerwerft 1", responsible for overhauls and maintenance of the Pilatus PC-6 B2H2 Turbo Porter, S-70A-42 Black Hawk and OH-58B Kiowa. Units currently based here are the PC-6 B2H2 Turbo Porter of 4th Air Squadron, Flight Regiment 1; the S-70A-42 Black Hawk of 1st Helicopter Squadron, Flight Regiment 1, and OH-58B Kiowa of 3rd Helicopter Squadron, Flight Regiment 1. Fliegerhorst Hinterstoisser, located north of Zeltweg in a region known as Aichfeld, was built as a base for the Air Force of the "Ständestaat" 1936–1938. The base was occupied by Soviet troops in the aftermath of the war, but then transferred to the RAF which used the base until 1947. In spring 1957 the first aircraft, Piper PA-18/95 Super Cub and Zlin Z-126 Trener, arrived with "Fluggruppe 1" at the base. Since then it is the main base for the training of new aviators. It was named for Colonel Franz Hinterstoisser in 1967. The base houses the 1st Squadron of the "Überwachungsgeschwader" (Surveillance Wing). With the retirement of the Saab 35 Draken in 2005 the unit now uses the Eurofighter Typhoon. The first Eurofighter Typhoon arrived in July 2007. The base also houses parts of "Fliegerwerft 2", responsible for overhauls and maintenance of the Saab 105Oe and the Pilatus PC-7 Turbo Trainer, as well as Flight School for basic training. Units currently based here are the PC-7 Turbo Trainer of Flight School; detachments of 2nd Squadron and the Eurofighter Typhoon. Fliegerhorst Nittner – Graz International Airport, located south of Graz, was built as a base for the Austro-Hungarian Imperial and Royal Aviation Troops and opened in 1913. After the Second World War the RAF used the base before it was returned to Austria in 1951. The first Austrian aircraft arrived in 1957, three De Havilland Vampire T.Mk 55 for the Fighter Bomber Training Squadron; since then Graz was the main base for fighter and fighter bomber aircraft of the Luftstreitkräfte. The base was named for First Lieutenant Eduard Nittner in 1967. The base housed parts of "Fliegerwerft 2", responsible for maintenance of F-5E Tiger II. It is primarily a civilian airport, with the military enclave in its southern part; but the base itself is earmarked for closure in 2008 (with the end of Tiger operations) with its installations most likely taken over by the civilian airport operator. Fiala-Fernbrugg Air Base (Fliegerhorst Fiala-Fernbrugg), located north of the town of Aigen im Ennstal on the southern edge of the "Totes Gebirge", was built as a base for the Air Force of the "Ständestaat" 1936–37. At the end of World War II the base became the homebase of the only helicopter unit of the Luftwaffe; beginning the tradition of helicopter operations at Aigen im Ennstal. Soviet troops occupied the base after the war, but after only a few weeks control switched to US forces. After a few more weeks, the base ended up in British hands. The RAF rebuilt the base and handed it over to Austria in 1947. It was used as a storage depot for the B-Gendarmerie, a paramilitary police force in the western zones. After some years of hiatus, the first helicopters, Bell H-13H Sioux arrived in late 1960. The base was named for Captain Benno Fiala von Fernbrugg in 1967. The base houses "Fliegerwerft A", responsible for overhauls and maintenance of AS-316B Alouette III. "Hochgebirgslandekurse" (Alpine landing courses) are conducted at least annually at the base, with officers of foreign air forces as regular attendants. Units currently based here are the AS-316B Alouette III of 1st and 2nd Helicopter Squadron, Flight Regiment 2. Wiener Neustadt Air Base was located northwest of the city and was one of the first airports on the European continent. It opened in 1910 and housed various units of the Austro-Hungarian Imperial and Royal Aviation Troops. The base was close to the Wiener Neustädter Flugzeugwerke (WNF) factory in the eastern part of the city and which manufactured Messerschmitt Bf 109s and repaired Junkers bombers and destroyers during World War II. The base was bombed to total destruction during World War II and was rebuilt by the Soviets who operated the base until 1955. The Austrian military took the base over, but didn't use it until 1961. 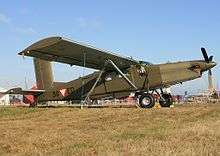 The base currently houses no units, but Flight Regiment 1's PC-6 B2H2 Turbo Porter are operating from the base regularly for flight training purposes as well as for training of army parachutists. The large Liechtenstein Kaserne on the northern edge of the "Truppenübungsplatz Allentsteig" (Training Area, Gunnery and Bombing Range) is home to a detachment of Flight Regiment 1's OH-58B Kiowas. Known as "Stützpunkt Nord" it is not only used by military aircraft, helicopters of the Ministry of the Interior using the base for operations too; the task of border surveillance is jointly conducted by the military and civilian authorities. Besides that, Flight Regiment 1's helicopters and PC-6 B2H2 Turbo Porters are operating from the base or its adjacent meadows/roads on a regular base. The Frundsberg Kaserne in the southern suburbs of Schwaz east of Innsbruck houses a detachment of Flight Regiment 2's AS-316B Alouette IIIs used for SAR and firefighting duties. The helicopters are operating from Schwaz since 1969. The base is earmarked for closure, with the helicopters being redeployed to the nearby Andreas Hofer Kaserne. This radar site is located atop the Kolomannsberg (1,114 m) on the border between Salzburg and Upper Austria north of Thalgau in a region known as the Flachgau. The site is active since January 1968, and provides 24/7 air surveillance since August 1968. Initially a French CSF (now Thales Group) RV376 and a British Marconi (now BAE Systems) S244 heightfinder were used at the site but were replaced by an Italian Selenia (now Alenia) RAT-31S 3D-radar in 1983. The system was further enhanced with the installation of a Selenia (now Alenia) RAT-31DL 3-D radar in 2003. The site is also called "Grossraumradarstation" (lit. large space radar station) since it has the necessary office and working areas for a complete air traffic/combat control center. It served in this role until 1987 when its tasks were taken over by the EZ/B and is still maintained to provide backup when needed. This radar site is located atop the Speikkogel (2,140 m) on the border between Styria and Carinthia in the Koralpe mountains west of Wolfsberg. The site is active since 1986, with its construction and commission severely hampered by the bad weather in the region (partly due to the height above SL) and problems with the radom and the radar itself. A Selenia (now Alenia) RAT-31S 3-D radar is installed, scheduled to receive the RAT-31DL upgrade. The site features a downsized version of the ORS K's control center, but is normally not manned. This radar site is located atop the Steinmandl (490 m) north of Ernstbrunn in the Leiser Berge region 40 km north of Vienna. The site is active since 1985; to the immediate west a secondary radar operated by AustroControl is located atop the Buschberg. The ORS uses a Selenia (now Alenia) RAT-31S 3-D radar, but is scheduled to receive the RAT-31DL upgrade. The site was a replacement for the unbuilt one atop the Schneeberg south of Vienna. As a backup to the fixed sites and to create a better situation image in times of crisis two Selenia (now Alenia) MRCS-403 3-D radars – mobile versions of the RAT-31S – are operated by the Radarbataillon since 1979. Several sites (Irrsberg, Hochwechsel) are prepared to host the radar. To provide detection of low-flying aircraft the Radarbataillon operates six Thomson-CSF (now Thales Group) RAC 3D medium-range 3-D radars – designated TER (Tieffliegererfassungsradar) – mounted on ÖAF 32.403 trucks beginning in 1998. A further 16 of these systems are operated by the Air Defense Bataillons in special target designation configuration to provide early warning and target tracking for the Mistral units. The Z/FlAK 85 (Zwilling/Fliegerabwehrkanone) is the Oerlikon Contraves GDF-001 system. 18 of these guns were purchased in 1965 (under the designation Z/FlAK 65) and used with earlier acquired Oerlikon Contraves FLGer 60 (Feuerleitgerät, fire control radar) Super Fledermaus and new Oerlikon Contraves FLGer 65 Improved Super Fledermaus. A second batch of these guns consisting of a further 18 Z/FlAK 65, but this time with FLGer 69, a further improved Super Fledermaus, was purchased in 1973. The FLGer 69 were never issued to the units but returned to the manufacturer in 1973 for eventual replacement with the new FLGer 75 Skyguard beginning in 1976. Improved Skyguards, dubbed FLGer 79 were purchased in 1981. The guns itself were upgraded to GDF-005 standard in 1987, designated Z/FlAK 85 since. The FLGer 75/79 have been upgraded to FLGer 98 in the late 90s. A total of 72 guns and 37 Skyguard systems have been acquired over the years. The lFAL (leichte Fliegerabwehrlenkwaffe) Matra (now MBDA) Mistral is not only used with the Air Defense Regiments of the Air Force, but also with the air defense batteries attached to the HQ units of the Army's Brigades. 72 of these systems – along with several hundred missiles, the exact number is unknown – have been purchased beginning in 1993. They are used in conjunction with the so-called ZZR (Zielzuweisungsradar), 16 Thomson-CSF (now Thales Group) RAC 3D medium range 3-D radars in target designation configuration, that have been purchased in 1998. Nine missile launchers and two radars normally operate in a battery. ↑ "The Austrian Air Force - In the Past and Today". Retrieved 2016-03-25. ↑ Simperl, Gerald A. (November 2005). "Austria Retires Its Saab 350E Drakens". Flug Revue. Archived from the original on 3 February 2006. Retrieved 19 December 2014. ↑ Eurofighter’s Rough Ride in Austria Continues. Defenseindustrydaily.com (2012-11-13). Retrieved on 2013-08-16. ↑ "USFA Installations – Page 1. Hörsching Air Base". Retrieved 2011-12-29. ↑ "NCO Academy, Tactical Comd". Retrieved 2011-12-29. ↑ "TWO SOVIET OFFICERS FLEE TO AUSTRIA, LANDING BOMBER AT U.S. ARMY BASE". Retrieved 2011-12-29. 1 2 Wernfried, Haberfellner; Schroeder Walter. Wiener Neustädter Flugzeugwerke. Entstehung, Aufbau und Niedergang eines Flugzeugwerkes. Weishaupt Verlag, Graz. ISBN 3-7059-0000-5. 1 2 3 4 "World Air Forces 2016 pg. 12". Flightglobal Insight. 2015. Retrieved 10 March 2016. 1 2 "World Air Forces 1987 pg. 41". Flightglobal. 2015. Retrieved 28 December 2014. ↑ "World Air Forces 1971". flightglobal.com. Retrieved 1 January 2015. ↑ "World Air Forces 2004 pg, 44". flightglobal.com. Retrieved 1 January 2015. 1 2 "World Air Forces 1983 pg. 327". Flightglobal Insight. 2015. Retrieved 4 January 2015. ↑ "World's Air Forces - 1981". flightglobal.com. Retrieved 19 May 2014. ↑ "AUSTRIA'S AIR FORCE – 1968 pg. 158". flightglobal.com. July 1968. Retrieved 2 February 2013. ↑ "Austrian Air Force Equipment". flightglobal. Retrieved 1 January 2015. Wikimedia Commons has media related to Air force of Austria.